After three years of promising my friends from the Philippines I would visit, I was finally on my way to the land of the famous ‘Filipino Hospitality’.1 I arrived to the Manila airport at 11pm – just in time for a crazy line through immigration and awesome Manila traffic (which was nearly always ‘awesome’). Dod and Harris were nice enough to navigate through the late night airport traffic to pick me up. We headed to Dod’s friend’s bar, Walking Street (named after the street in Bangkok), where they introduced me to Red Horse (the best lager I have tasted in a while – bonus, it’s 6.9% alcohol!) and Sisig (a delicious local sizzling pork-head dish). The next morning, Harris stopped by Dod’s house to pick me up for lunch with my old project team. Knowing that I try to travel like a local, he introduced me to the most stylish mode of public transportation to date. The “Jeepney” – elongated WWII Jeeps left over from the US Occupation, and the “Patok” – the souped-up fast, fancy paint job Jeepneys, which fill the streets of Philippines. It was nice to finally share a meal with the team that I had spent countless hours with only via phone. Although I hadn’t planned on it (dressed in shorts & sandals), the team insisted I visit the company office. Albert lent me his jeans and shoes (they almost fit) before I headed in. It was gratifying to finally put more faces to names/voices, and confirmed my belief in the ‘nothing replaces meeting people in person’ mantra. Then it was off to nearby Starbucks (they are everywhere in Manila) where Albert was waiting. The security guard gave us an incredulous stare when we came back of the restroom with swapped clothes. The original plan was to head down to the southern beaches, but the forecast called for solid wind and rain. 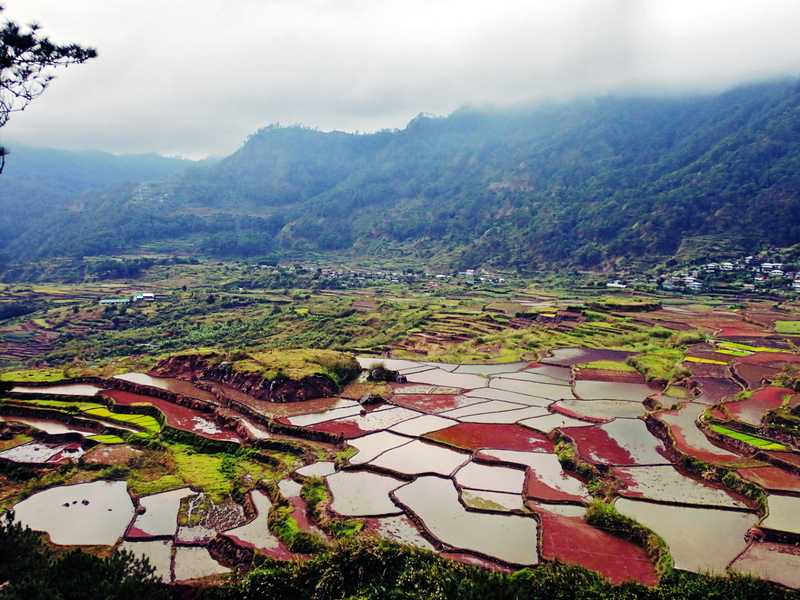 Thus we decided to join one of Dod’s co-worker, Bock and a few others, up north to the mountain province – home of the world famous Mountain Rice Terraces. After a near scare that the bus was full, the company scheduled an extra to accommodate the demand, the ten in our group, including Harris and Dod’s girlfriend Jona, were off. 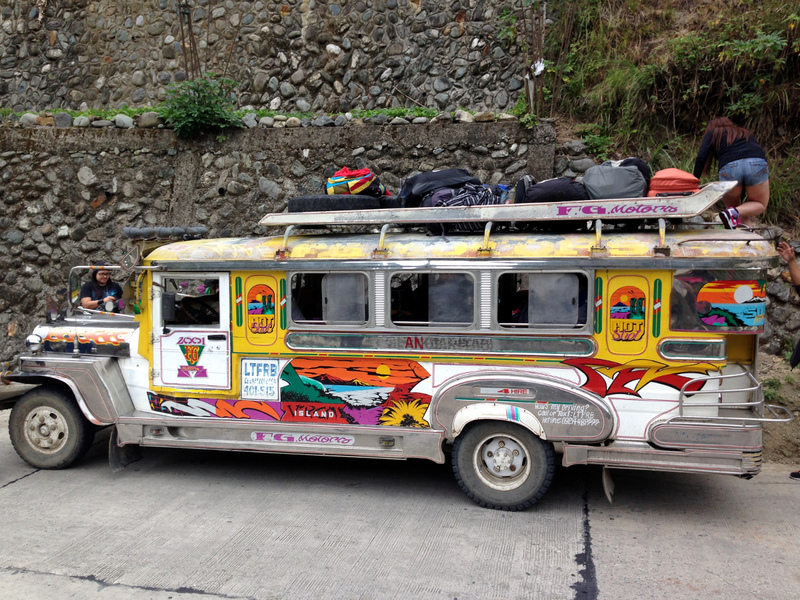 Very chilly temperatures greeted us in Banaue after a 9 hour sub-freezing night-bus journey. I had wishfully hoped that Southeast Asia would provide a defrosting environment after being cold in South America for four months, but that didn’t look like it was going to be the case. 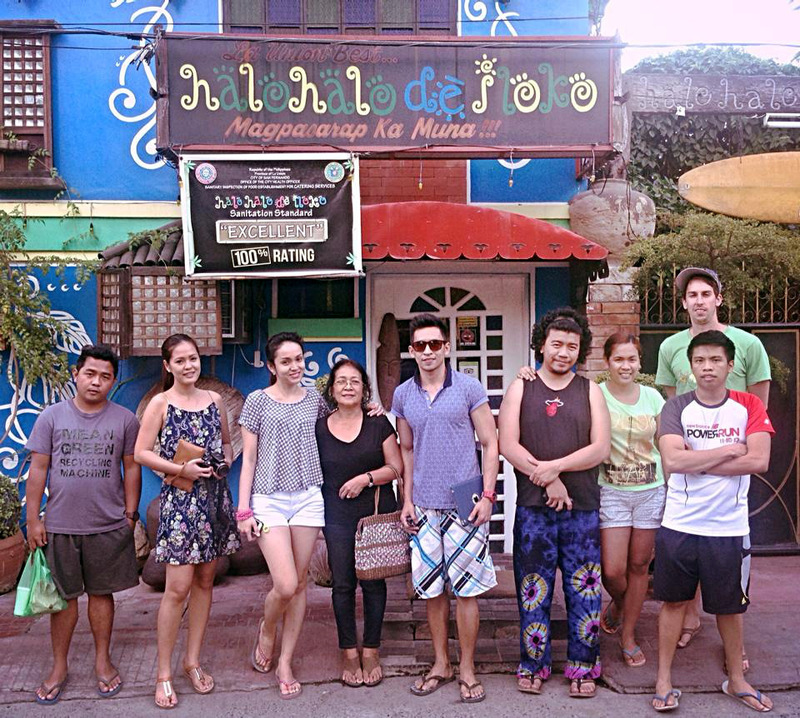 We walked around town and had a quick breakfast before piling into the Jeepney headed towards our destination, Segada. I was fortunate enough to snag a spot inside, but for Dod and a few others it was a very cold three hour ride ‘Topload’. Before the Mountain Region became a tourist destination, the Jeepneys were primarily used to haul harvested rice and other agricultural goods. 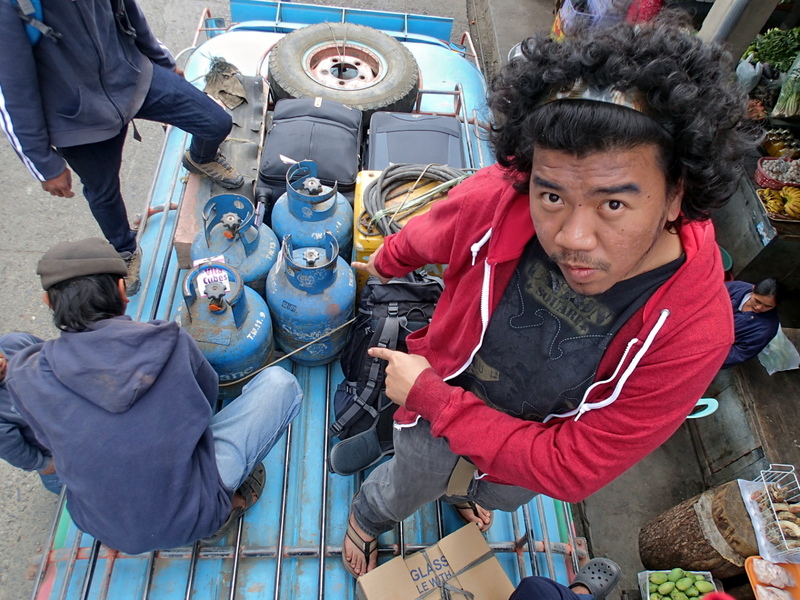 When the first tourists started arriving, they had to ride on top of the vehicle. Now to maximize profits, they use the bottom and top to stuff in as many tourists as possible. 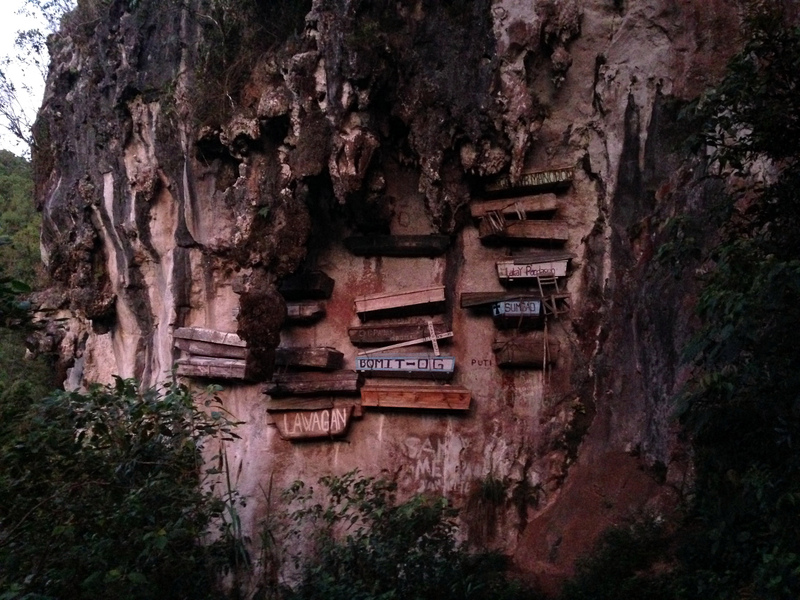 After we settled into our guesthouse, we hiked around the serene scenery to see the area’s traditional hanging caskets, an ancient funeral custom of the mountain minority groups in South East Asia. That evening we enjoyed a night of drinking Emperador (cheap but delicious Philippine brandy) and Red Horse. It is customary to only pass around one communal cup when drinking in the Philippines – thus the person pouring the liquor sets the drinking pace. 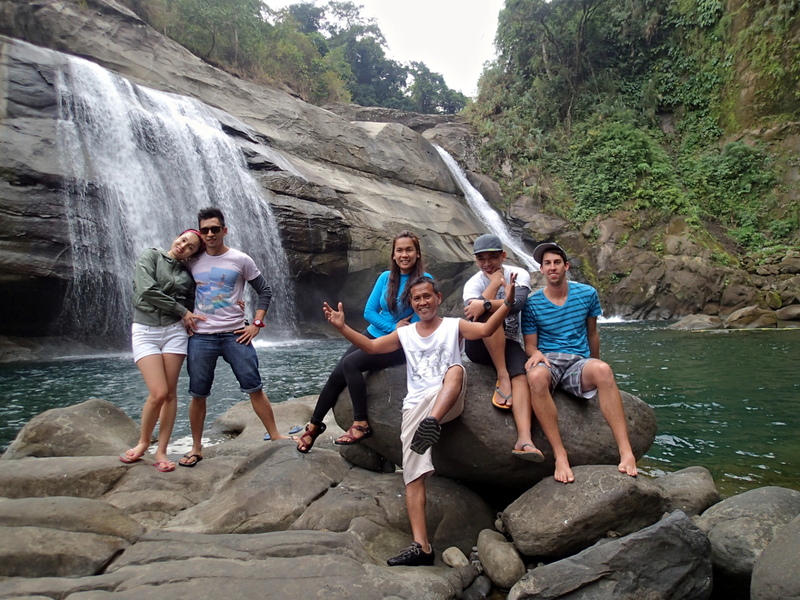 Segada is known for its mountain trekking and cave spelunking. 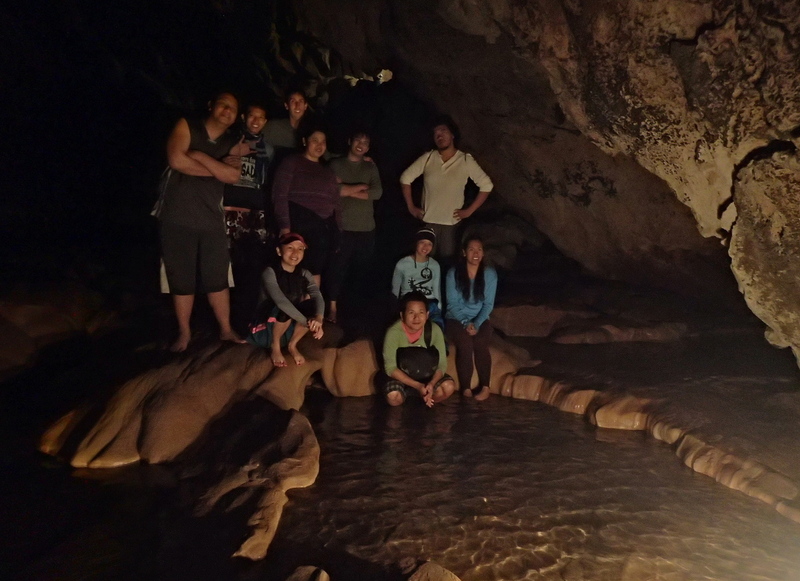 Taking the poor weather into consideration, we decided to do the Lumiang Cave to Sumaguing Cave connection tour. 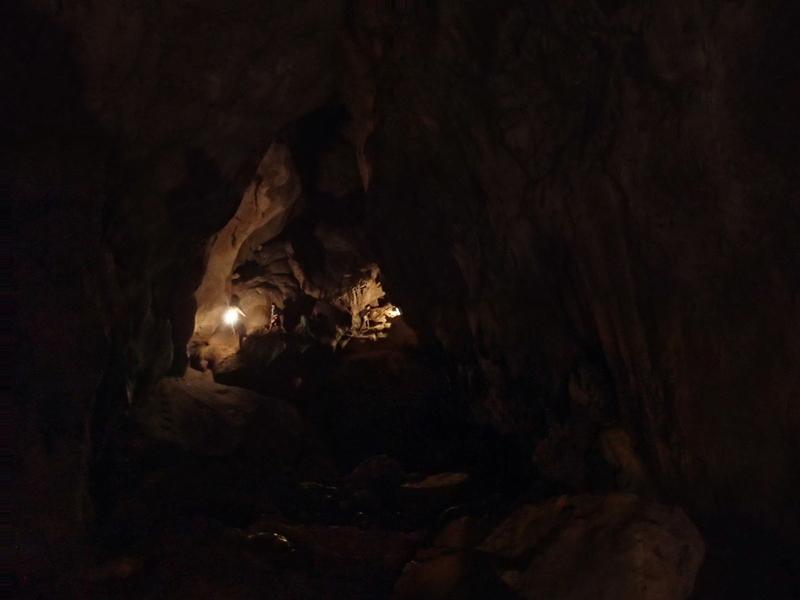 Although not the prettiest cave I have seen, it was definitely a good adventure. 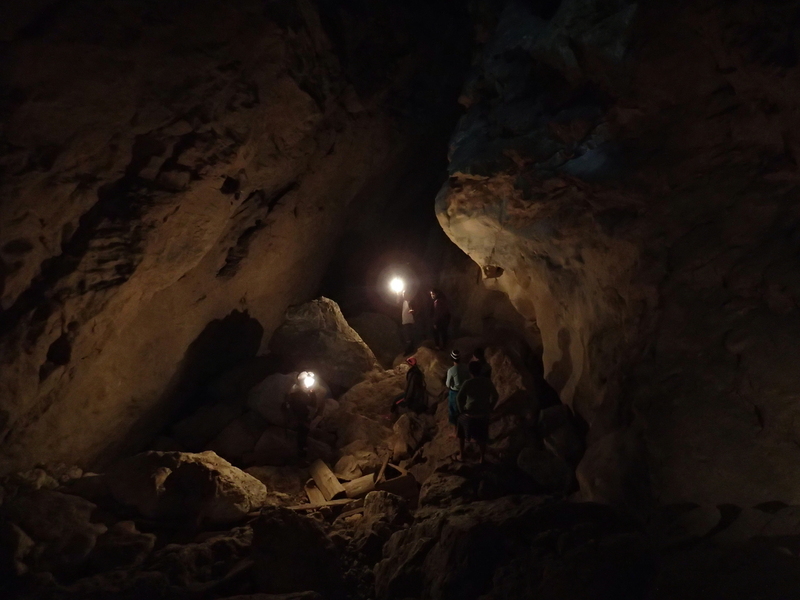 At one point we climbed up a rope with a 30 foot drop right next to us and the guides somehow navigated the small crevices and rock scrambles while holding burning hot gas lanterns. Our next stop was San Juan, where we’d meet Jay-ar and warm up on the beach. Dod and I rode Topside this time down the mountain to make room for some old ladies, but thankfully it was much warmer. The beach was filled with gringos, but was quite nice and I could definitely see the surf potential in the right conditions. Jay-ar’s nephew’s girlfriend’s family is from San Juan and were nice enough to host us for two delicious dinners and invite us to hike to a local waterfall. The hour and a half hike up the river was beautiful and we had the impressive Tangadan waterfall all to ourselves. That afternoon I hosted an hour surf lesson, with Jona taking home 1st place in the Filipino cup. After a quick stop back in Manila, Dod, Jona, Harris and I were back in the car for another road trip to Dod’s parents place in the southern provinces. We spent time the afternoon relaxing and conversing with his family. They live on a place surrounded by their extended family which reminded me of my home in Texas (except it was a little more tropical!). Family is a big part of life in the Philippines and even though most of the younger generation works in the cities away from where they grew up, there is a strong connection to the family roots – something that I believe we could work on in the US. Dod’s dad had recently retired, however during his free time at home he started a side Biogas business. He designs and constructs systems to collect and use the biogas created from decomposing pig waste. Since natural gas is very expensive in the Philippines and need to be refilled often, this is a great solution for many Filipinos (and elsewhere in the world) living in the more rural provinces. We also met two of his friends who were the first organic farmers in the area. I’m always excited about entrepreneurship (especially in the environmental/clean-tech space) so this was a great bonus. 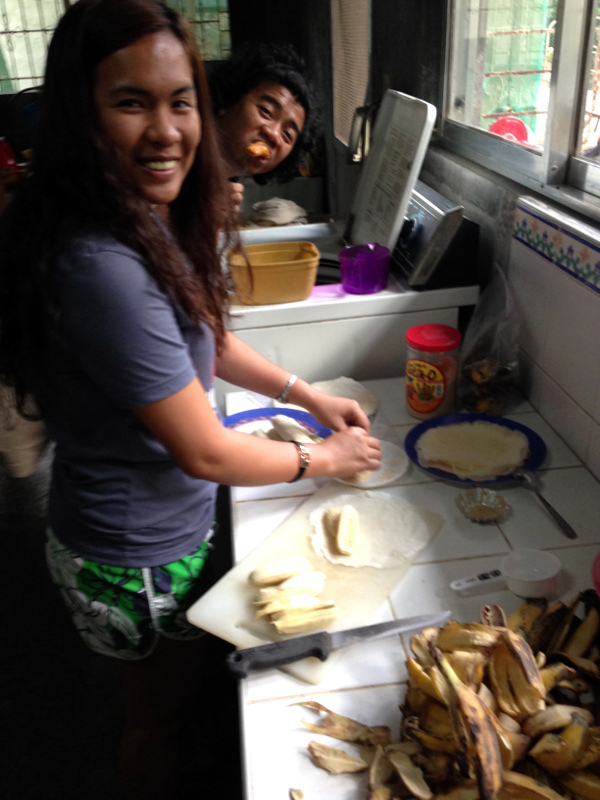 That evening we had an amazing home cooked meal and some Turon (fried banana pastry) for desert. 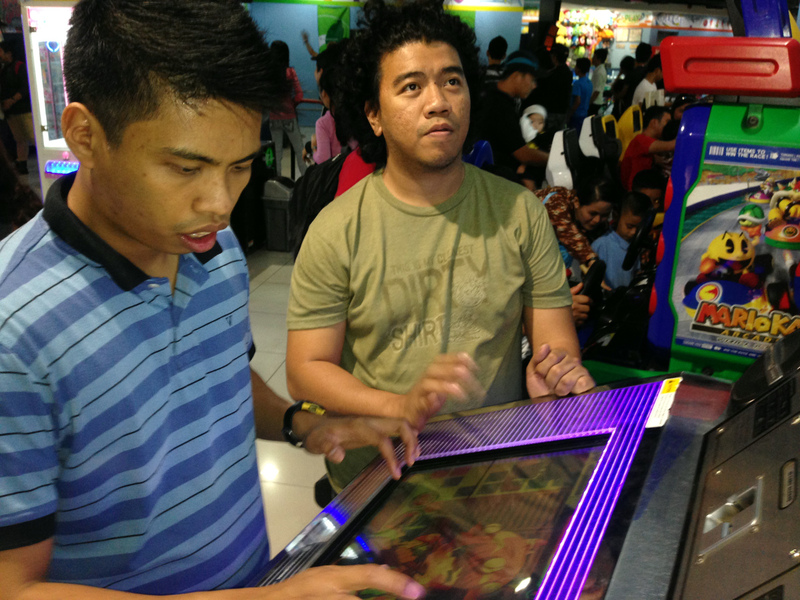 Dod had to work the weekend afternoons so Harris and I set off to explore central Manila. We stopped by the National History and Art Museums and Intramuros – the old walled Spanish district. My highlight of the afternoon was squeezing like sardines into the Metro car for the return trip during rush hour (China Style), thankfully I’m a head taller than most of the locals so it was easy to find an exit route when necessary. My final days we spent cruising around Manila, enjoying many Red Horses with friends, and visiting a shopping mall. Shopping malls in Manila are a great way to beat the heat and thus contain everything type of store (even hardware stores – however they had to stop selling hammers since there were cases of people buying a hammer then walking through the mall to rob the jewelry stores – nice). The Philippines were everything I had imagined they would be and more. The Filipino Hospitality is alive and well. Although I only had 10 days (I will be back again), everyone I met went out of their way to make me feel at home. Special thanks goes out to Dod, Jona, Harris, and Jay-ar for taking time off to make my time amazing – thank you again for the great times. 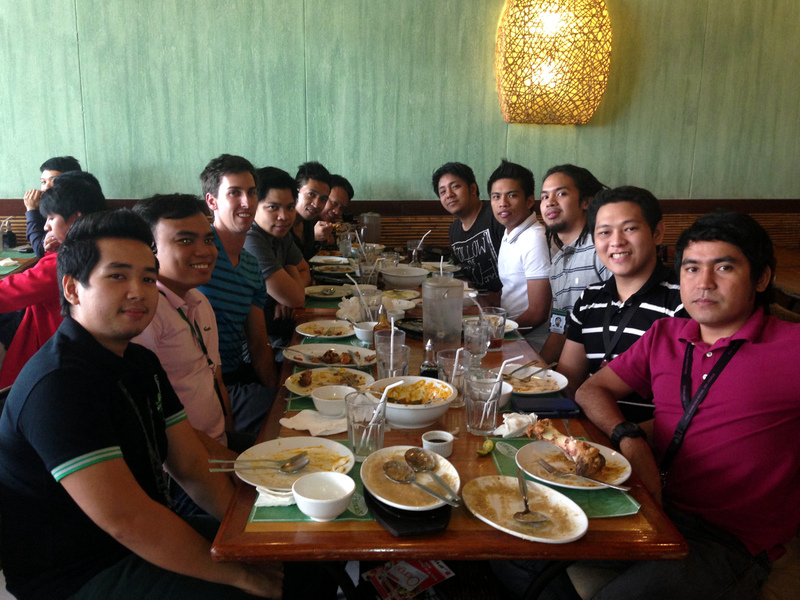 1 During my time at work I worked extensively with teams in/from the Philippines. I got to be great friends with several during my time on my project and had always wanted to go visit when they were all back home.